We all must have heard or seen “Puppet show” sometime in our lives. 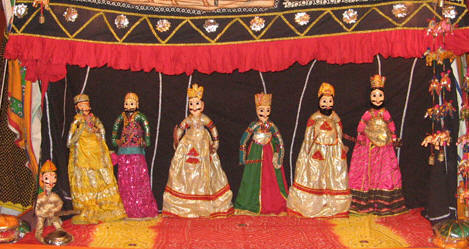 Puppets- Hand made dolls with strings attached to them. Humans catch hold of these strings & make them move as per their wish enabling to act a drama or dance. They just move as per their instructor’s direction. Now, have you ever thought what would happen that if these puppets have emotions also? If not, just give a thought to Who Are You? Yes, we Humans are “Emotional Puppets”. All our strings are in hands of “GOD” & though we think we have mind, we have heart, we can make decisions based on logic & feelings, but the fact is, all that is going to happen is already destined by GOD. We just have to accept GOD’s will. Why GOD gave us emotions? Why GOD gave us feelings? Why we feel attached & detached? Why we feel happy & sad? Why we feel the pain? This entry was posted in Bereavement, God, Poem and tagged emotions, family, feelings, friends, God, happiness, Life, Puppets, Thoughts by Akanksha. Bookmark the permalink. Emotional puppets we are, our strings in God’s hands. Sometimes it makes me think so too. But then I realize that if He gave us feelings, He gave us power to act too. We may not decide our co-actors, because they come in our lives as He wants, but we are certainly responsible for OUR codes of performance..which makes all the difference. Hi, thanks fr reading & sharing ur views. Yes, I do agree with what you highlighted on our act/performance. We sometimes jut become so much influenced by results that we forget everything else.